Preheat oven to 325 and line a baking sheet with parchment paper. In a large bowl add oats. In a microwave safe bowl melt the almond butter, honey, and maple syrup (microwave for ~30-60 seconds). Once heated, stir and add the vanilla extract. Add the mixture to the oats and stir to combine evenly over the oats. 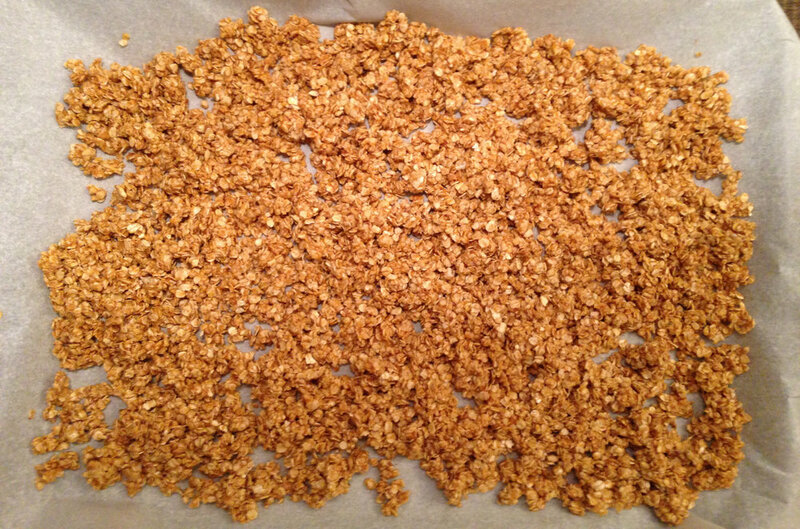 Spread the oats in a single layer on the baking sheet. 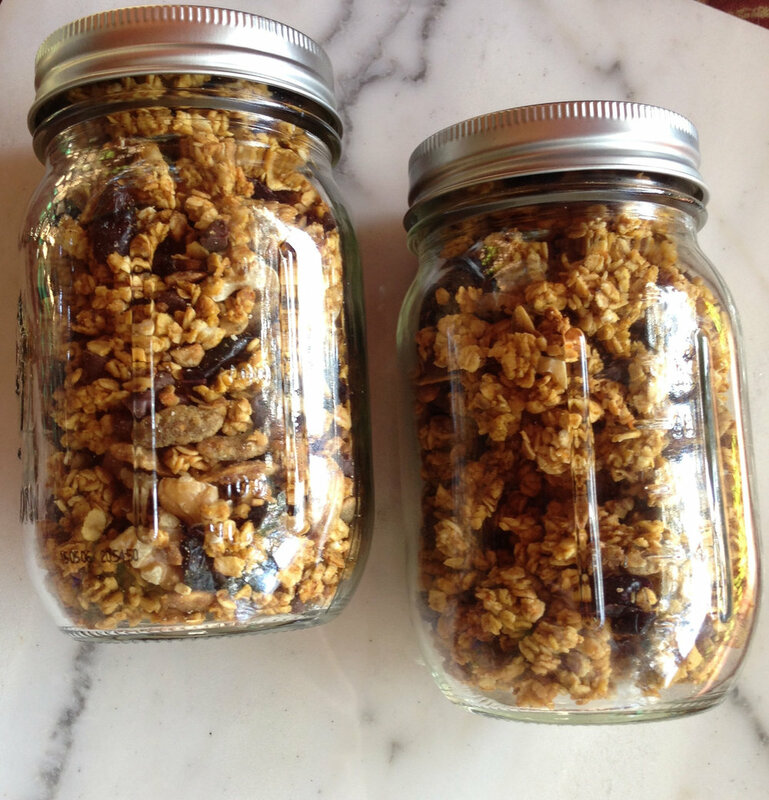 Bake for 15 minutes then remove from oven and flip oats over to cook on the opposite side. Return to oven and cook for another 15 minutes for a total of 30 minutes. Remove from oven and let cool completely. Add chocolate, dried blueberries, and dried cherries. Enjoy!